Concerned about multiple signs of aging? Want the secret to looking younger? It’s all about the formula! – Our advanced formulation is of the highest quality, containing patented pentapeptides for maximum effectiveness – Manufactured in a state-of-the-art FDA certified lab that uses good manufacturing practices (cGMPs) – Money back guarantee if you are not fully satisfied. You’ll absolutely love this non-irritating skin rejuvenation cream. 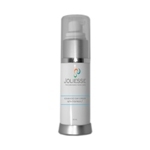 It will help you dramatically reduce the appearance of facial wrinkles! And it contains Matrixyl® which nourishes your skin, helping you stay younger looking. Click the BUTTON below and PURCHASE TODAY.